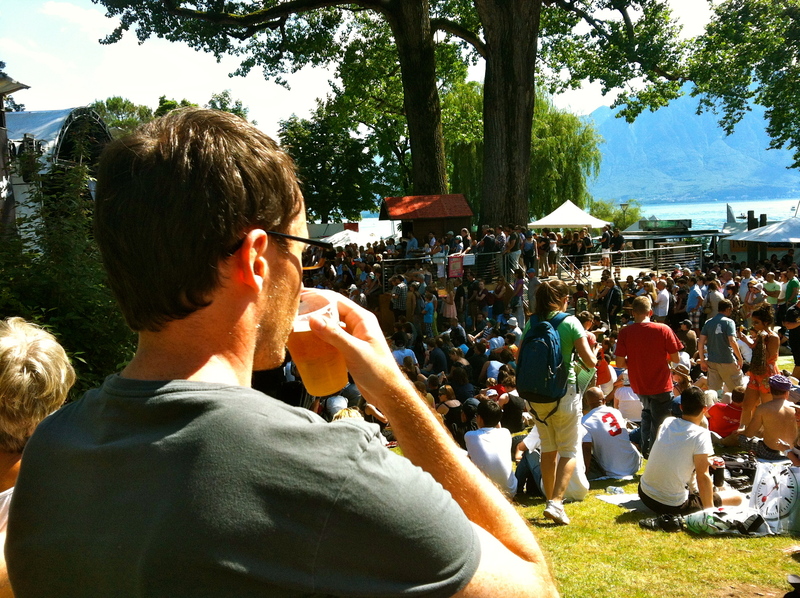 We went to Montreux this weekend for the 46th annual Montreux Jazz Festival. Even though I had taken Twin & Solid while they were here, I still wanted to go back. This marks my fourth time and Gabe’s 3rd time going to the festival. 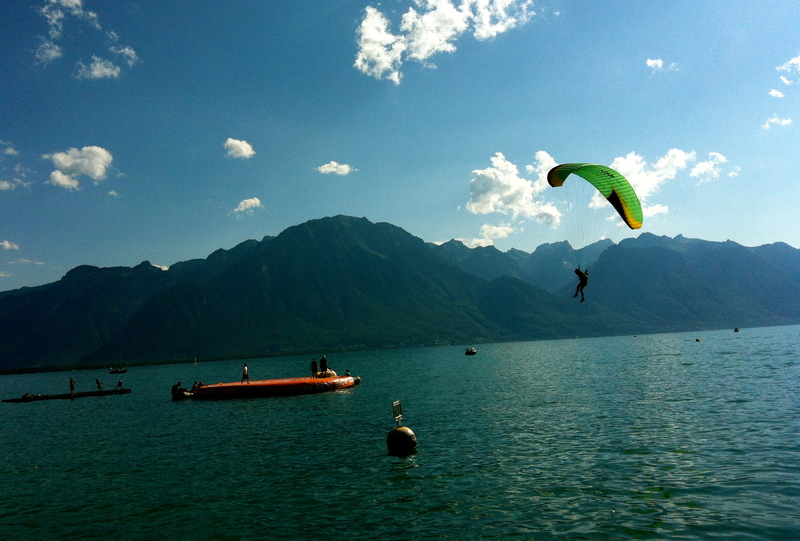 A round trip train ticket from Geneva costs 25 CHF each for us to go, but it is a fun summer activity. 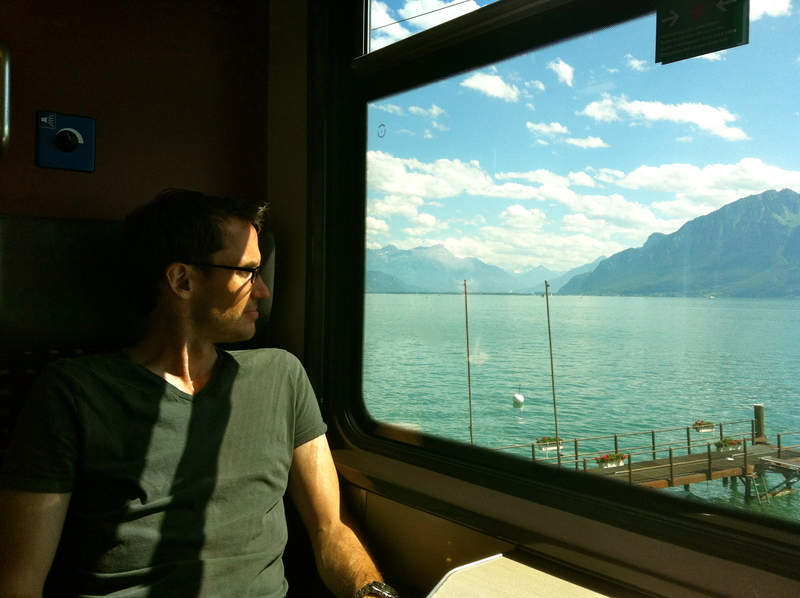 A very pleasant ride from Geneva – an hour total and 25 CHF with your half fare card and 10% SBB discount for attending the JazzFest (no ticket required). Everyone thinks we are weird that we don’t buy tickets for the shows. My physio gave me a very quizzical look. But, the free music is lovely. You just simply show up to the park, find a spot and listen to your heart’s content. The shows start about 3:30 on weekdays and 2:00 on the weekend and play back-to-back with 1/2 hour or hour breaks in between. Taking in the scene, listening to a South African band. Pants optional. Dogs are allowed. As demonstrated by this gentleman. To his credit, the lake is right there. If you feel like walking around, there is plenty to see and do. There are a ton of vendors selling handcrafted goods. Also the food is pretty yummy. 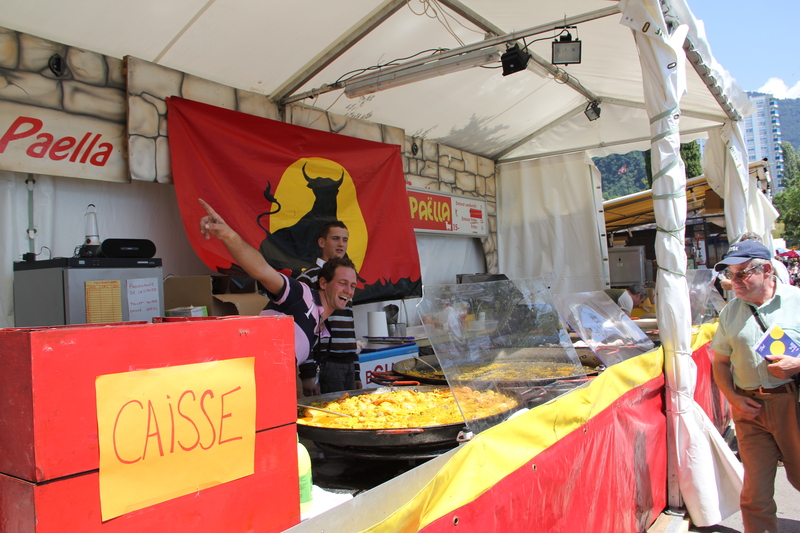 Gabe and I justify our expenditure on 25 CHF train tickets + festival food = cheaper than a low end restaurant in Geneva. Image courtesy of Henry Birmingham from last year. The paella guys were back again this year. 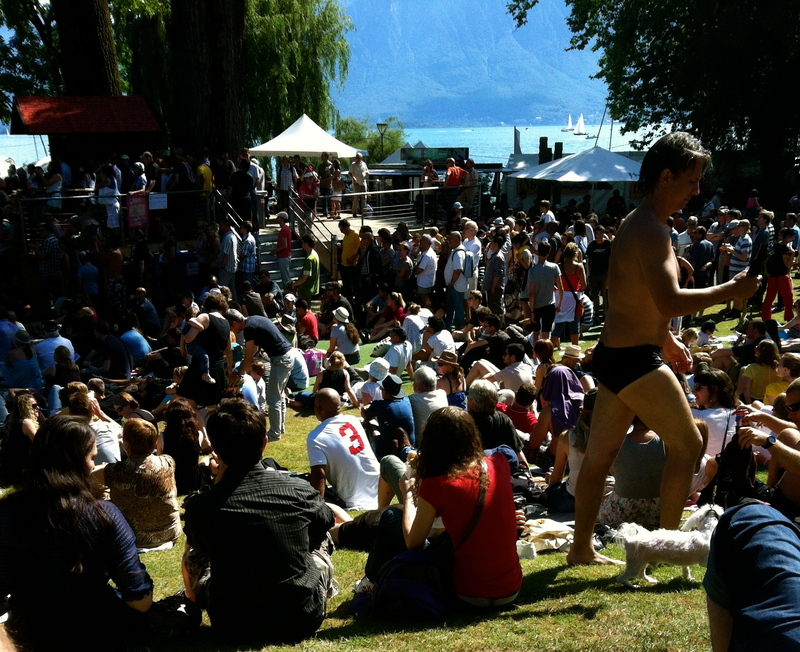 Some people wander to the end of the festival to enjoy the swimming. This is one of my favorite docks. 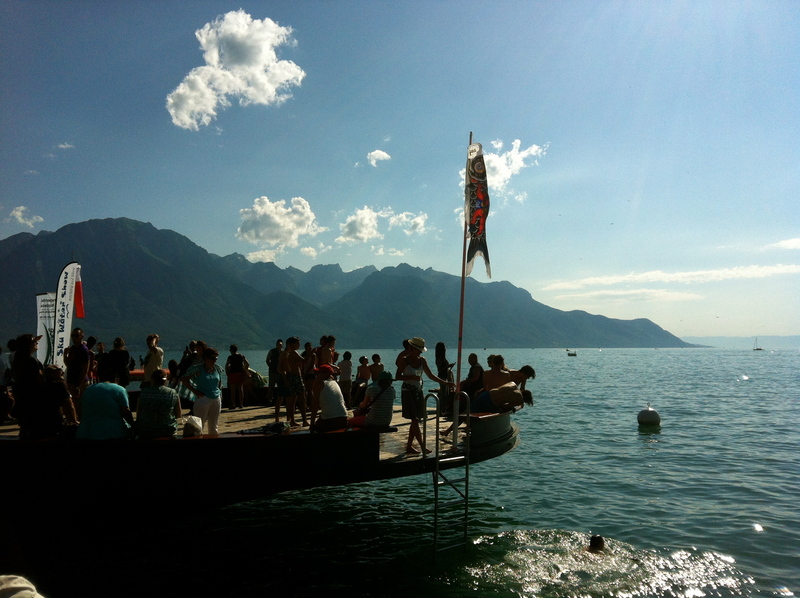 Lovely dock on Lake Geneva – Montreux. 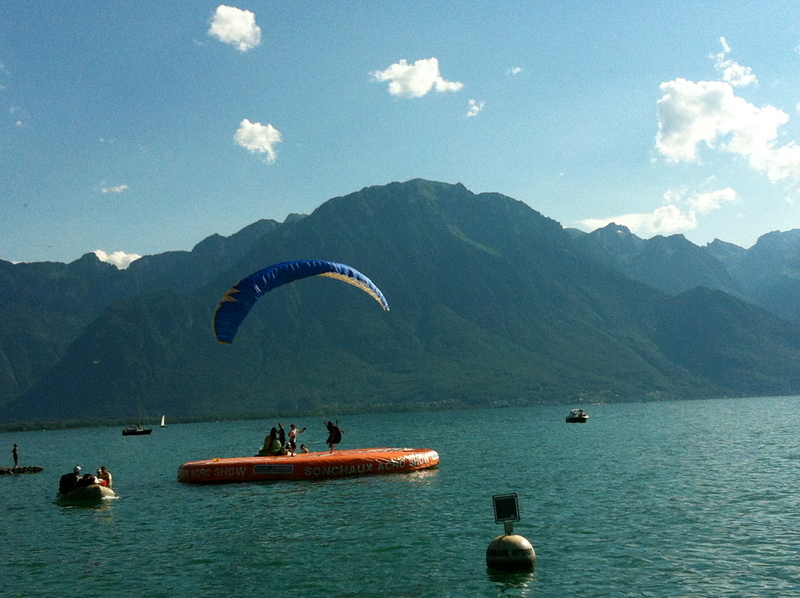 This year, you could watch the gliders come in and try to land on the orange pad. Freddie Mercury even enjoyed watching them a time or two. 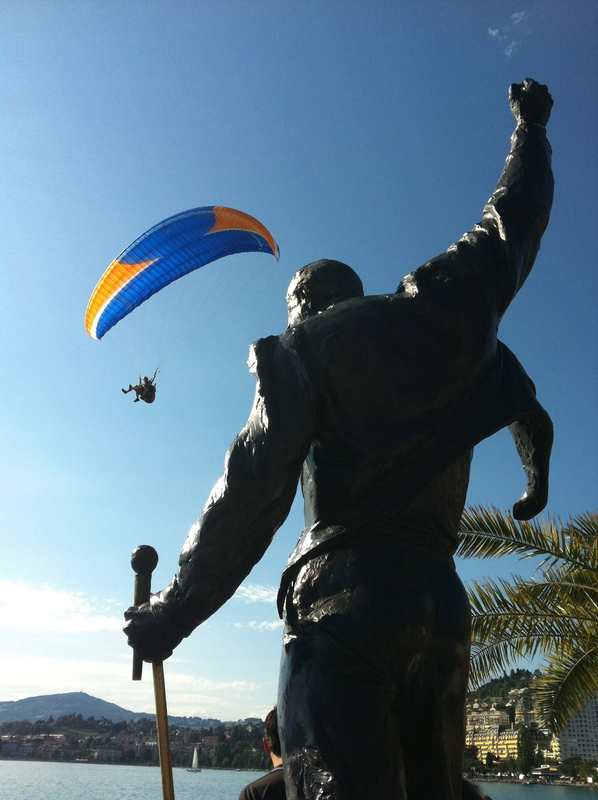 Freddie Mercury tribute statue in Montreux. The festival runs until this Sunday, July 15th – I’d encourage you to check it out! 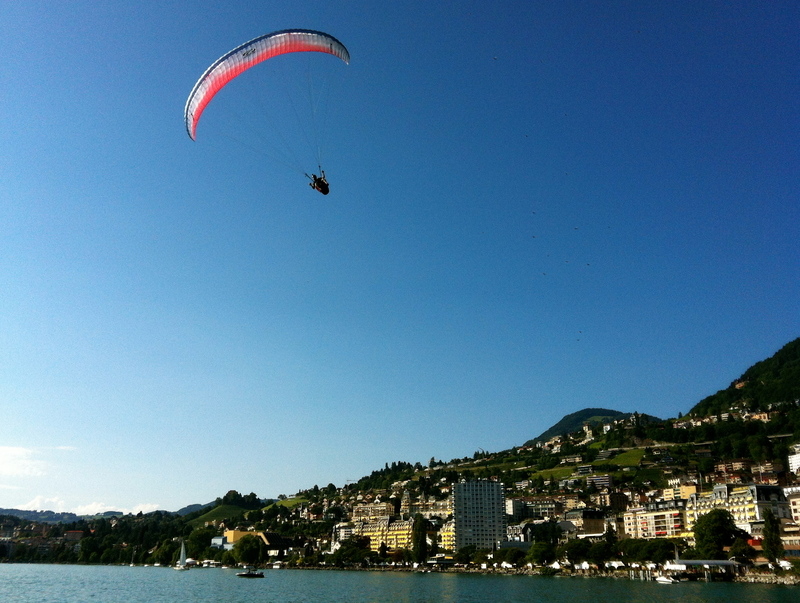 This entry was posted in Beaches, Daytrips from Geneva, Festivals & Events, Food, Wine & Beer, Lakes & Water, Life in Geneva, Summer, Switzerland, Travel: Within Switzerland. Bookmark the permalink.